Here are a few pictures of the goings on in Summerside this week. 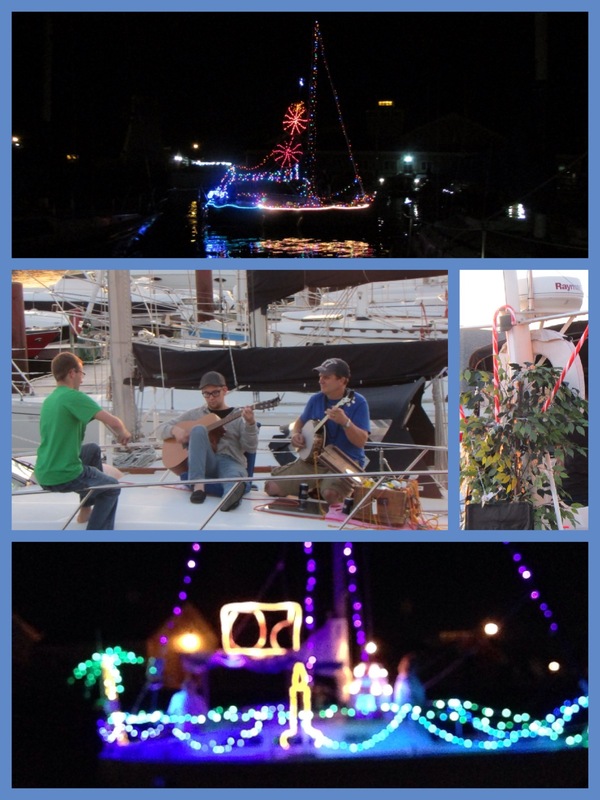 The yacht club had their 50th anniversary and had all sorts of activities including the Parade of Lights. Boaters were encouraged to dress up their boats with lights and do a sail past when it became dark. I got to be a judge and it was lots of fun! Boats were extremely well decorated. The sailboats, especially, with their masts, were able to really make things look spectacular! One of the powerboats, some people from New Brunswick, really put a lot of effort into the festivities as they had a small band (fiddle, guitar and banjo) on board – they could really play! Everyone also dressed up as pirates and as they went by for the sail past (several times), we could hear them belting out another round the Drunken Sailor! They got a prize for best participation! Anyway, here are some pictures of the Parade of Lights. The other pictures are of Summerside and surrounding area. The fields are a beautiful colour, getting ready for harvest. The picture of the dogs was taken along the boardwalk – everyone likes to walk their dogs there. 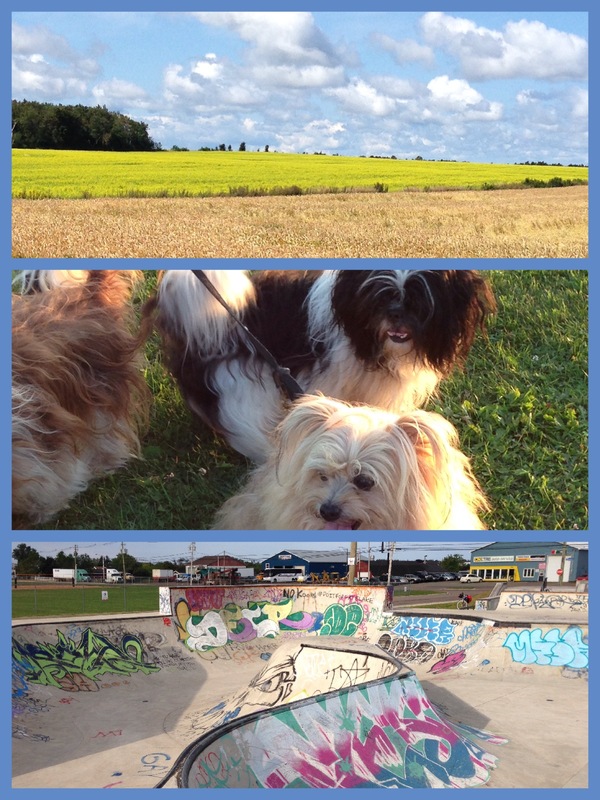 The final picture is of the skateboard park – it is pretty big – almost the same size as the skateboard park in Barrie. We will hopefully leave for Souris tomorrow – we will only get as far as Wood Islands but the winds are in our favour so it should be a fun ride! Monday, not so much as the winds are supposed to switch. Of course, the forecast may change – who knows? Tomorrow, we should be able to see the Tall Ships leaving Charlottetown and coming into Summerside and hopefully I will be able to get a few good pictures!